Frustrated by all the vitamin D supplement information out there? We understand, so we've done the research for you to identify the best vitamin D supplements you should be taking. Enjoy our guide to the sunshine vitamin, uncover deficiency symptoms you might be experiencing, and learn how to correct them easily. Available in 1,000 IU all the way up to 5,000 IU, the vitamin is suspended in olive oil. The dropper provides a whopping 2,000 IU with each drop and an incredible 900 drops in each bottle. It provides 2,000 IU in a swallowable pill. Honest is of paramount importance to us. We identify the best customer reviews and testimonials across the internet and combine what we’ve researched with company reputation and available data. We’ve gone the extra mile to create a list of well-researched picks you can trust. 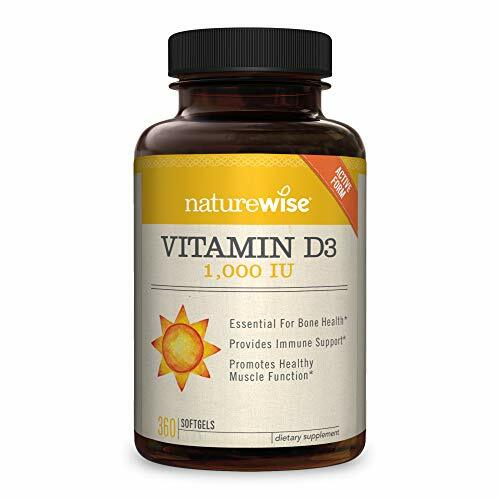 Vitamin D3 in soft gel form, these supplements from NatureWise are high quality and highly potent. Available in 1,000 IU all the way up to 5,000 IU, the vitamin is suspended in olive oil. NatureWise products are gluten-free and non-GMO and bottled in the United States. Customers give this supplement high marks and note that the capsules are very small (many compared it to ibuprofen capsules--these are smaller). You’ll also be pleased to find that every purchase supports the company’s work with Vitamin Angels, a non-profit that helps meet the nutritional needs of malnourished children in third-world countries. The company also meets high standards for manufacturing. It has the cGMP for complying with quality control requirements and all supplements and certified by the NSF, the third-party testing facility we mentioned earlier. We also appreciate how affordable this product is: at 360 capsules; you’d be set for an entire year! The only drawback is that if you need 3,000 IU or more, you’ll have to take multiple capsules each day. Using olive oil from Spain to suspend VD3 derived from lanolin, the dropper provides a whopping 2,000 IU with each drop and an incredible 900 drops in each bottle. 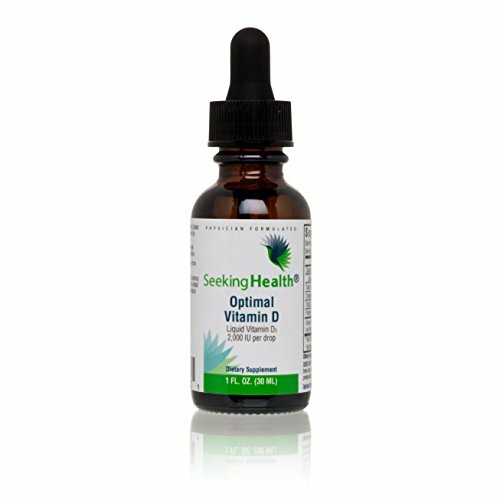 Vitamin D drops are yet another delivery method for vitamin D3, and this product from SeekingHealth is one of the best vitamin D supplements available. Here’s why we deducted half a star: even though there are over 1,000 excellent reviews online (most of them four- and five-star), there are reports of the dropper working ineffectively and the cap not screwing on correctly after use. We’re also a little concerned that both the huge amount of servings available in this product and the potentially misused dropper might cause you to either use too much or to end up using an expired product. In either case, if you’re using high dosages, make sure you’re getting regular blood work done to make sure you’re not overdosing! 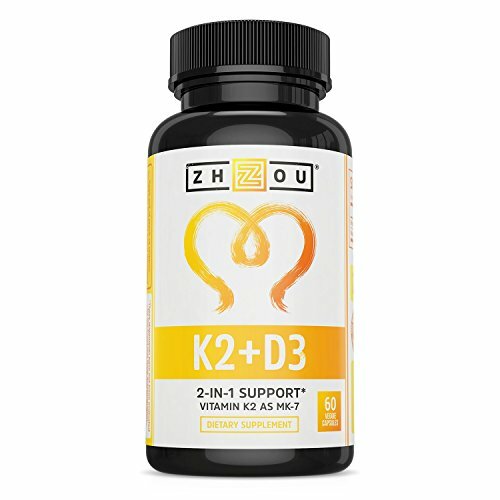 This K2 and D3 supplement from Zhou combines what we know about the best vitamin D supplements with emerging science indicating that D3 might work even better when combined with vitamin K3. In fact, K3, when taken with D3, might help prevent the calcification of calcium in our arteries instead of our bones. This easy-to-swallow pill comes in 5,000 IU, so don’t take it without your doctor’s permission. However, we include it here both because of its benefits and the fact that some people have been instructed to take a very high dose by their doctor. Zhou aderes to the cGMP certification and receives regular inspections by the FDA and other third-party organization to ensure the company meets the highest standards possible. The only reason this product doesn’t receive five stars? 5,000 IU will be too much for many. 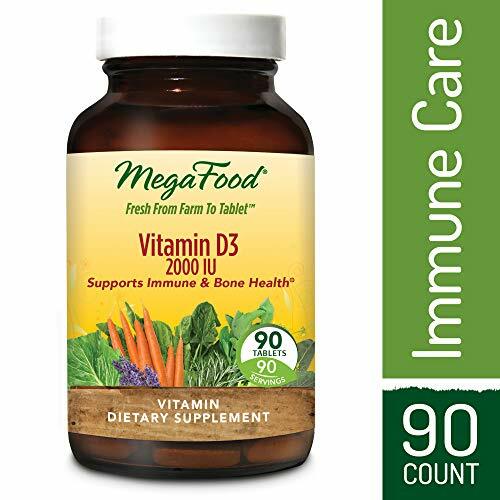 Instead of olive oil, which is what many of the best vitamin D supplement makers use, MegaFood suspends its VD in whole foods. These include broccoli, parsley, carrot, beetroot, and rice bran--all of which are organic. These foods have been dehydrated to provide maximum digestibility and nutrition. This product from trusted supplement maker MegaFood has a very low rate of online returns, and for a good reason. It provides 2,000 IU in a swallowable pill. Things to note about this particular supplement: the pill is large and might be difficult to swallow for some, though you can find this exact brand in 1,000 IU! If you need vitamins in disguise, these gummy vitamins are a great way to get your vitamin D needs to be met without feeling like you’ve swallowed a vitamin. You’ll get 2,000 IU (a thousand in each chewy) daily with a taste that most reviewers report loving. With over 1,500 excellent reviews, however, it’s clear that these gummies are winners! They are large, though. Each bottle will only contain roughly one month’s supply for one person. 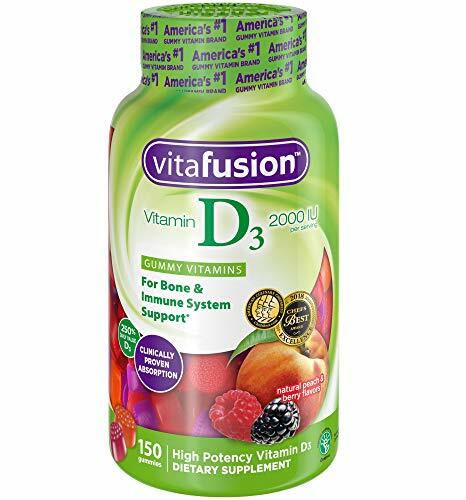 The vitamins are made in the USA and come in the preferred D3 standard. These are also free of wheat, gluten, milk, eggs, peanuts, and soy. Take note, however; these do have 3 grams of sugar in each vitamin and may potentially contain tree nut residue. Another extremely potent K2 and D3 combo, this one is from Sports Research and has some special reasons to love it, the main one being that it’s vegan. Instead of leaning on sheep’s wool to create Vitamin D3, Sports Research has found a way to create cholecalciferol from lichen to maintain a Vegan certification from the Vegan Society. Also, Sports Research has added coconut oil to this capsule to provide an extra dose of high-quality fats. Finally, this supplement has received only four- and five-star reviews, which is phenomenal. This is another extremely high dose of vitamin D3 (5,000 IU), but it has the added benefit of being combined with vitamin K2 in the form of MK7. One drawback: some online reviews have reported poor experiences with customer service. Your priority when searching for the best vitamin D supplement is to make sure you choose the right type of vitamin D. As we’ve mentioned earlier, there are two types: vitamin D2 and vitamin D3. D2 is less bioavailable, but if you’re vegan, this is the preferred supplement type. It’s usually made by irradiating mushrooms. Vitamin D3, however, comes from animal sources such as lanolin and is already in the form your body makes, itself. If you’re not vegan, we recommend this option. The next thing you should decide on is the delivery method. Vitamin D is available in a wide array of options, including soft gels, chewable tablets, drops, gummies, and more. This comes down to personal preference: what will you enjoy taking the most? Which Delivery Method Should You Select? Some people dislike swallowing pills and prefer something chewable; others feel like drops have a more potent impact. You should also check the bottle--you’re looking for a USP verification seal. USP verifications mean your supplement was independently tested, and you can trust what the bottle states. Finally, you’ll want to make sure your dosage is less than 4000 IU daily, but more than 600 IU daily (or 400 IU for children under a year). Are You Missing This Important Vitamin? Vitamin D is extremely important to your body’s normal, healthy functioning. Normally, your body responds to sunlight by turning cholesterol in your skin into vitamin D3, a form your body utilizes readily for a variety of different functions. One of the most important things vitamin D assists with is absorbing calcium for strong bone growth and repair. Your body, in fact, will not absorb calcium without the simultaneous presence of vitamin D. In addition to keeping your bones healthy, Vitamin D also helps decrease your risk of developing multiple sclerosis, heart disease, and even the common flu! On the other hand, magnesium activates the enzymes that play a role in Vitamin D metabolism. Vitamin D may also help reduce depression and anxiety, but it can be difficult to get enough from sunlight alone in today’s world. Our bodies’ ability to convert sunlight into Vitamin D depends on things like time of day, whether or not you’re wearing sunscreen (and how much), and how dark your skin is. What should you do if you suspect a deficiency? First, talk to your doctor. He or she can order a blood test to determine if your blood levels of vitamin D are lower than 20 ng/ml. If that is the case, your doctor will recommend an amount. If you’re extremely deficient or have other health problems, your doctor might prescribe higher doses of vitamin D. Typically, vitamin D is safe to take in moderate or even high doses under 4000 IU daily. Higher than that, however, and you might start experiencing problems such as weight loss or weakness, vomiting or nausea, constipation, confusion or disorientation, or even heart rhythm issues or kidney damage. Most of us spend very little time out of doors, and when we do, our skin is often covered by clothing or sunscreen! Some of us even live in climates that don’t receive full sun year round. Plus, the darker your skin, the less readily your body absorbs sunlight. This is good news regarding reducing your risk of cancer, but it’s bad news if you have darker skin and dealing with a vitamin D deficiency. While many foods (including milk) are often fortified with vitamin D, it’s usually in the D2 version, which is vegetarian. Scientists believe this type is less readily absorbed by our body, meaning it must be present in much, much higher dosages. This means that even eating fortified foods (or foods that naturally have high amounts of the vitamin, such as salmon, sardines, egg yolks, and fortified cereal), might not be enough. In addition to the challenges we’ve already mentioned, obesity is believed to play a large role in our nation-wide deficiency. Because VD is stored in body fat, high weight gain means there’s less vitamin D in your bloodstream. We’ve rounded up six incredible options for you as you’re searching for the best vitamin D supplement available, so there’s no more excuse. Get started with your D supplement today!